on Monday. To get ready for the show, relive your favorite moments from this year’s nominees with Google Maps. Let’s take a peek at a highlight reel of some hot spots and scenes! 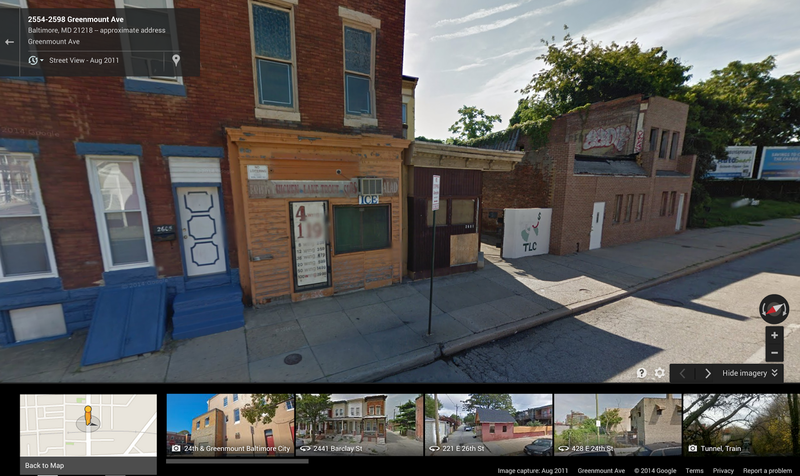 If you’re craving ribs after a House of Cards binge-watching session, head over to Frank Underwood’s favorite restaurant, Freddy’s BBQ Rib Joint, in Baltimore on Street View. More in the mood for afternoon tea? 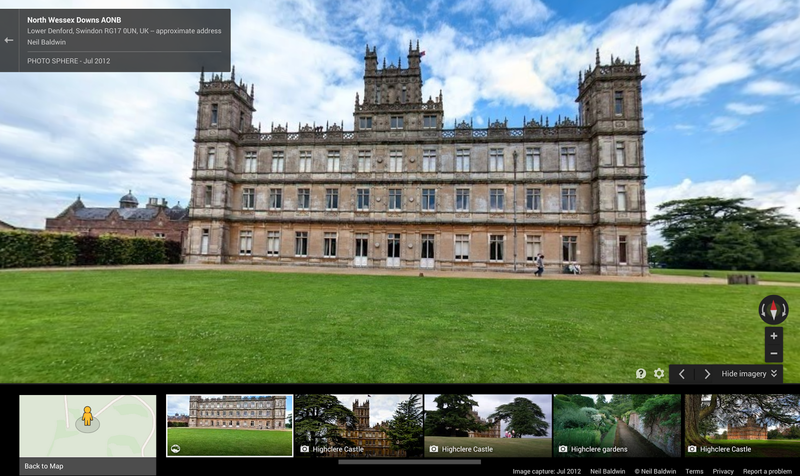 Then visit Highclere Castle in North Wessex Downs, where PBS’ critically-acclaimed drama Downton Abbey is filmed. Tired of teaching high school chemistry like our friend Walter White from AMC’s Breaking Bad? Well, look no further, because we heard that Albuquerque’s Los Pollos Hermanos is hiring. Warlords, the Night’s Watch and royalty from all the Seven Kingdoms can agree that the scenery in HBO’s Game of Thrones seems like it’s from another world. 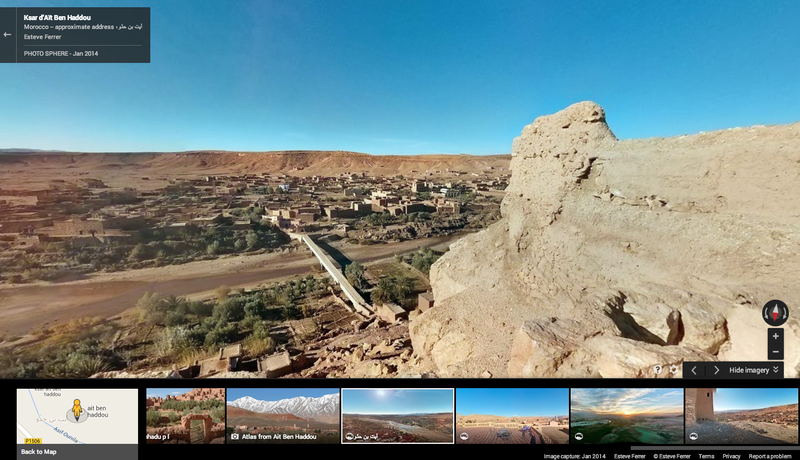 Google Maps lets you fly over Marrakech to visit Aït-Ben-Haddou, the set of Yunkai, one of the cities conquered by the Mother of Dragons, Daenerys Targaryen. Or if political intrigue is more your style, then you might be surprised to learn that Olivia Pope and Associates from ABC’s Scandal do their fixing at the Palace Theatre in downtown Los Angeles! 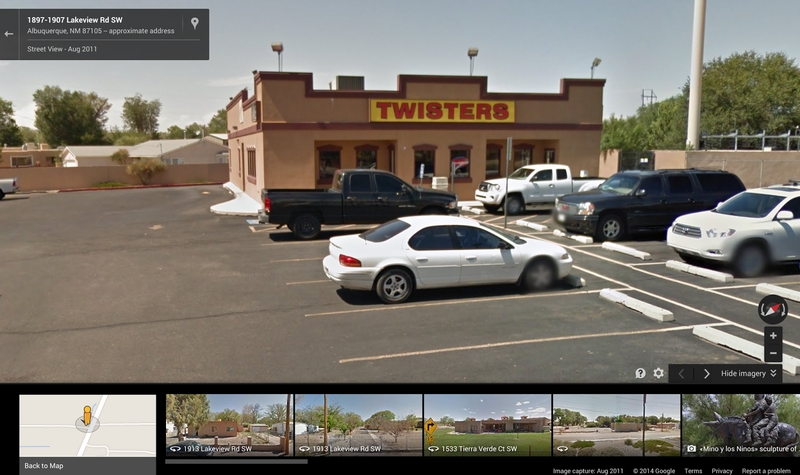 While we can’t get you a ticket to the awards, Google Maps can at least make you feel like an extra on the set of your favorite show. Happy (Street) viewing! Whether you’re into D.C. intrigue or Khaleesi’s conquests, chances are you’re watching the Emmy Awards on Monday. 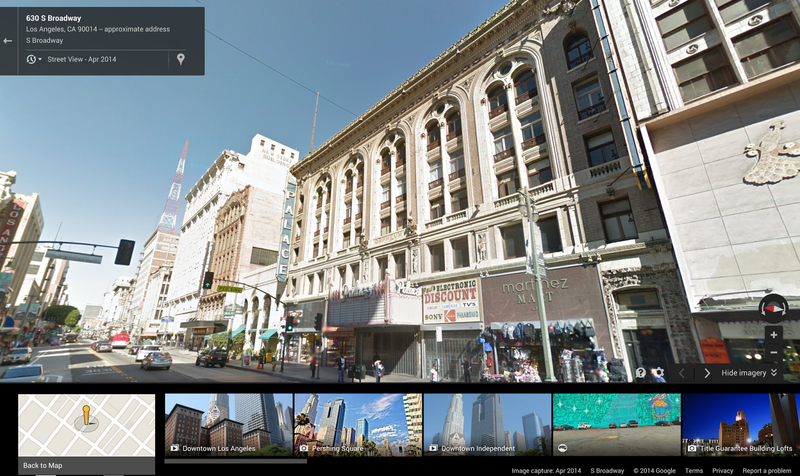 To get ready for the show, relive your favorite moments from this year’s nominees with Google Maps. Let’s take a peek at a highlight reel of some hot spots and scenes!